You'll need to retune your Freeview set-top boxes and TVs yet again this coming September. DMOL, the organistion that provides the Freeview EPG, is rejigging the terrestrial broadcasting servicer's channel listing. DMOL (DTT Multiplex Operators Ltd) said yesterday that the newly organised EPG will debut on 19 September. Kit not set to automatically spot the change and to retune accordingly, will require manual retuning. There will be on-screen prompts to remind you. The change is all about shuffling the channels to make room in the listing for more stations of given types. For example, HD services will be shifted from channels 50 to 101, in the process gaining room for 20 HD channels in all. Channel 100, incidentally, will be reserved for a Freeview HD information page. Channels 1 through 99 will become home to "general enterainment" stations. 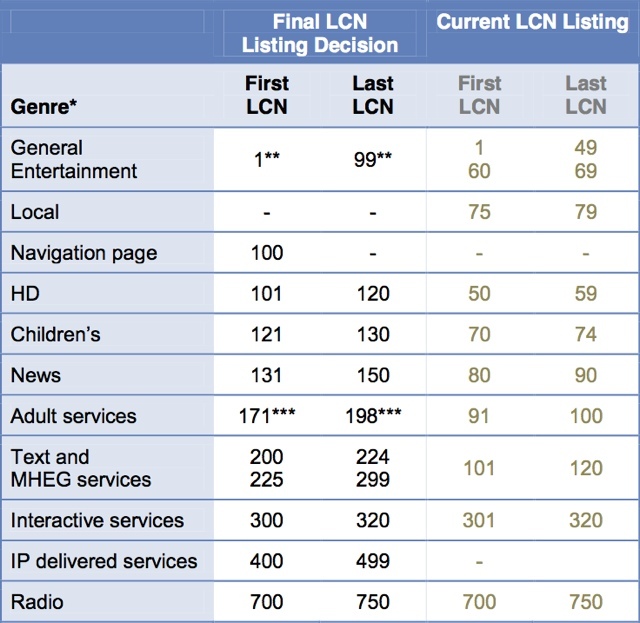 There will also be room made in the listing for IPTV stations, though clearly not video-on-demand services which, of course, have no need of a time-based programme guide.